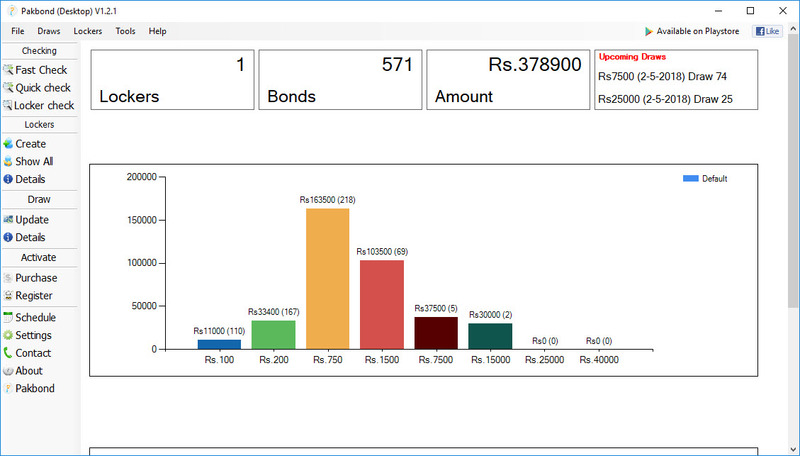 Pakbond dashboard provides you your bonds statistics and financial details in the form of graph and charts. You can easily check how many locker, bond and amount you have saved in Pakbond. Pakbond dashboard also indicates the upcoming draws. Pakbond introducing the world fastest bond checker. Pakbond called this feature “Fast Check”. Pakbond fast check can check thousands of bond numbers within seconds. You can also check serials of your bond numbers with Pakbond fast check by typing only first three to four digits of your serial. Pakbond fast check also support keyboard shortcuts to change bond categories. You just need to type your bond number or serial and hit enter for results. Pakbond quick check option provides checking of any bond number without saving it into your Pakbond locker. With quick check option you can check your bonds, your serials even you can import bonds from text file and can check theme without saving theme into your Pakbond locker. 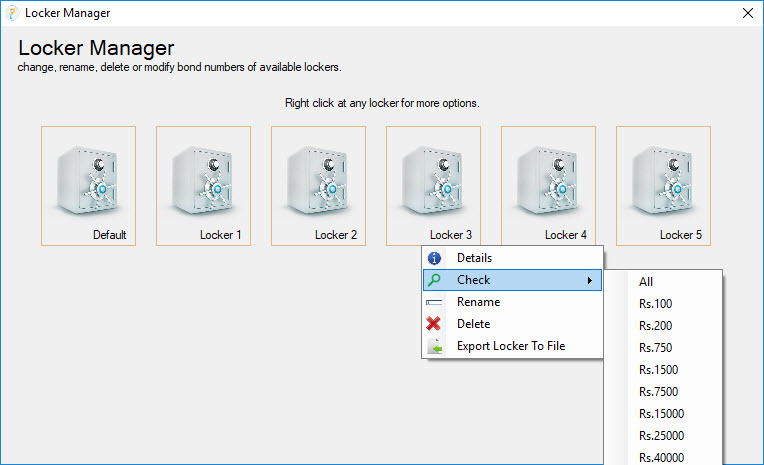 Pakbond locker check feature allows you to check all your lockers (accounts) at only one click. 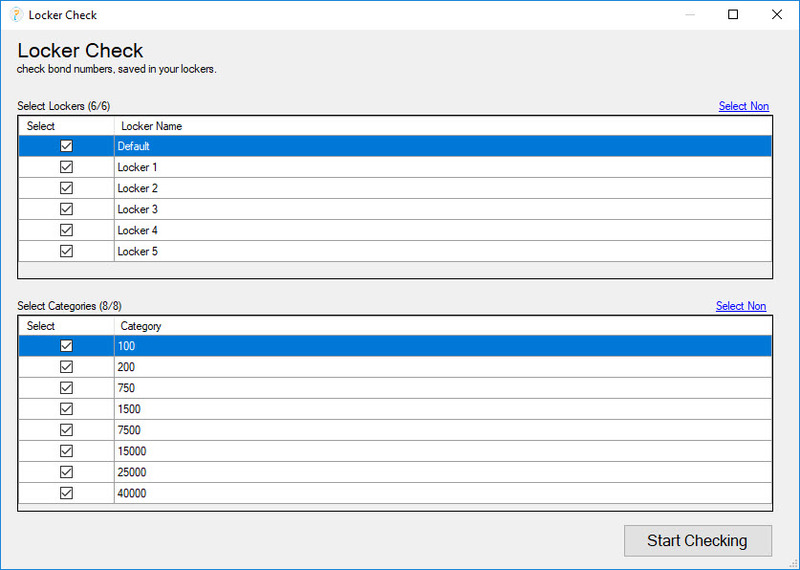 Pakbond locker check allows you to select lockers and categories of your own choice. 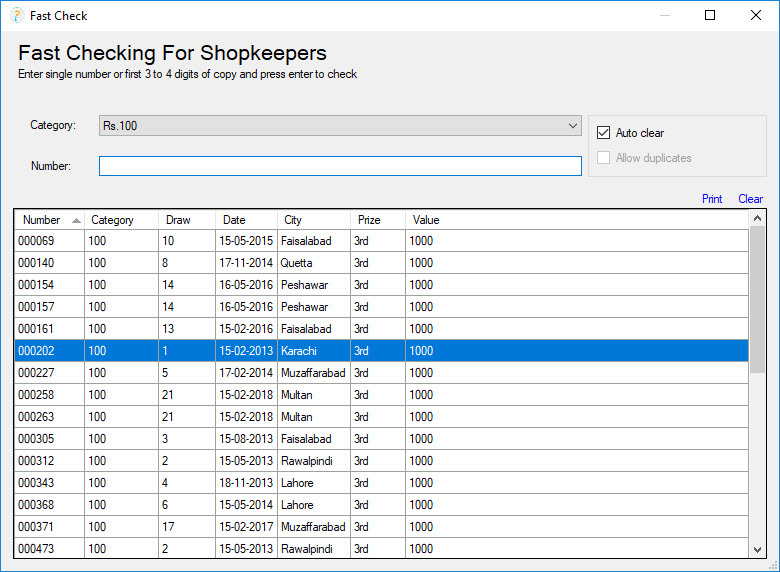 This option is required only one click and all your lockers saved in Pakbond will be checked in few seconds. Only Pakbond gives you facility to create unlimited lockers (accounts) so you can manage bond numbers of your family, friends and clients separately. 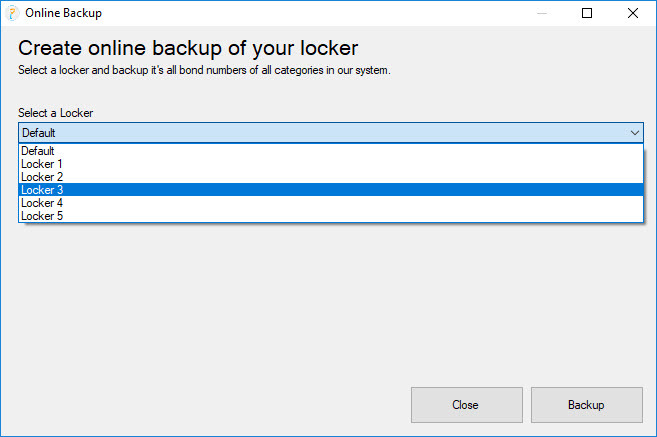 You can easily manage all your Pakbond lockers (accounts). Pakbond locker manager provides facility to check bond numbers of any category and locker at a single click. Editing, Renaming and Deleting a locker is a piece of cake. 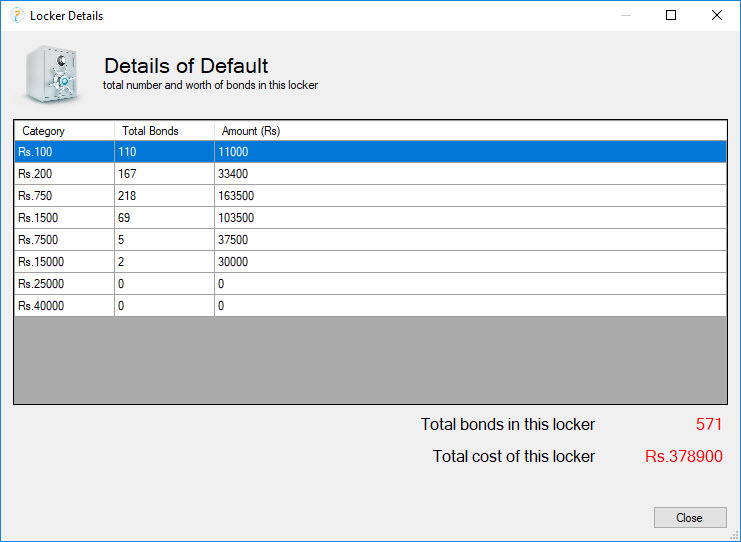 You can also check how many bonds you have in specific category of a specific locker. 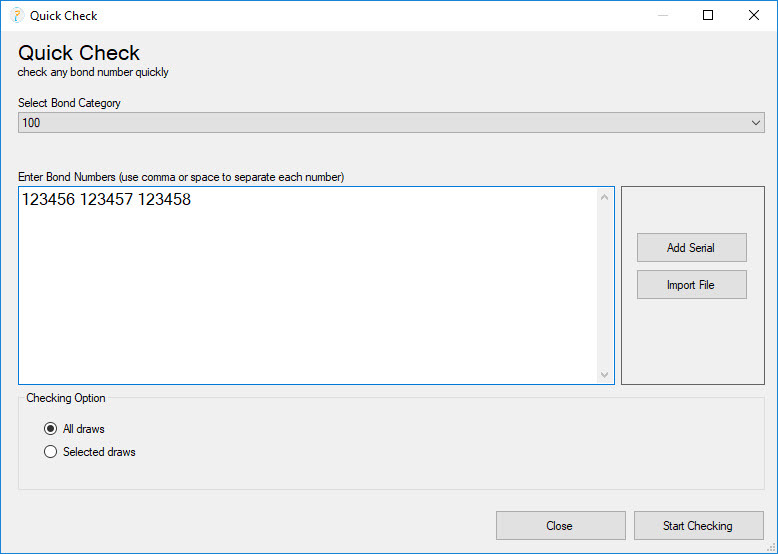 The worth of bond numbers in a particular category and the total worth of a specific locker. All the details in one place. 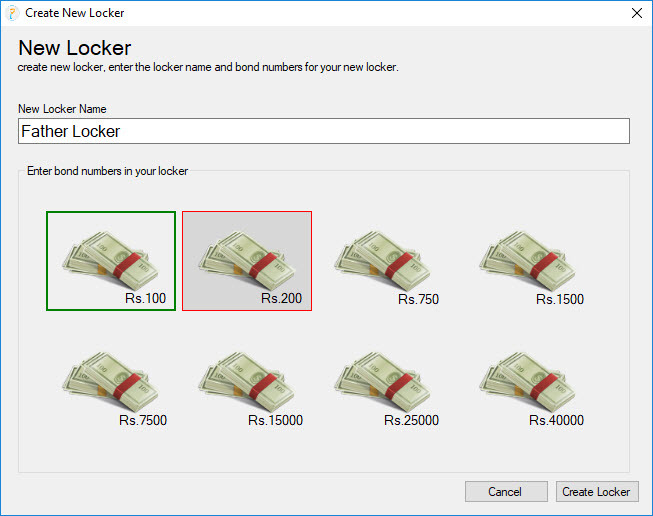 Not only you can create unlimited lockers (accounts) in Pakbond but also you can save unlimited bond numbers. Pakbond also allows you to save serials of your bonds. 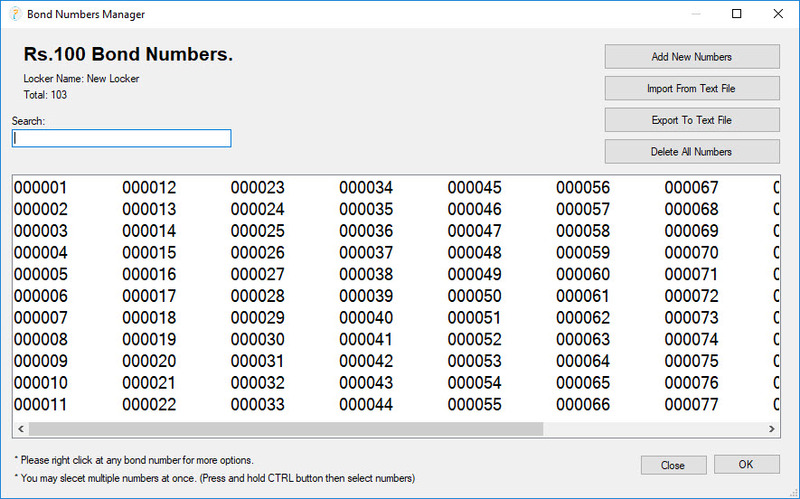 If you have bond numbers saved in text file then it’s not a problem for Pakbond. You can import your bond numbers from text file and save theme in Pakbond. No need to buy or download new draw papers because Pakbond handle it autometically. 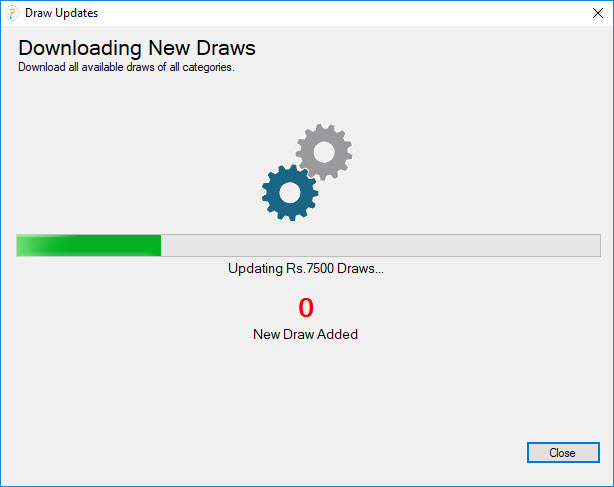 Pakbond autometically downloads latest draw results and show you notifications about it. You can also download all draw results by using Pakbond draw updater. Pakbond provides details of all the draws available in your computer. 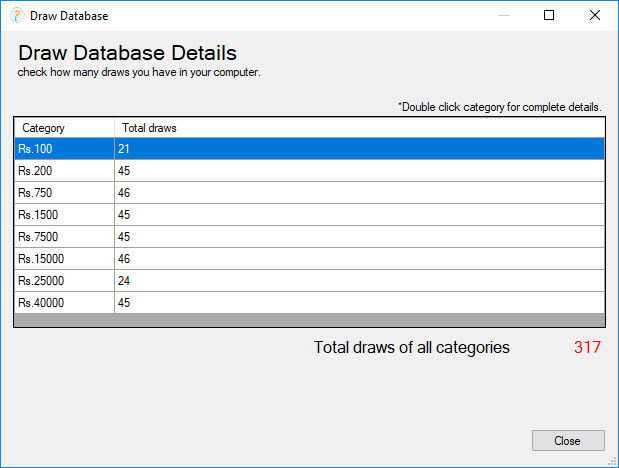 You can easily check which draws are available in your computer. 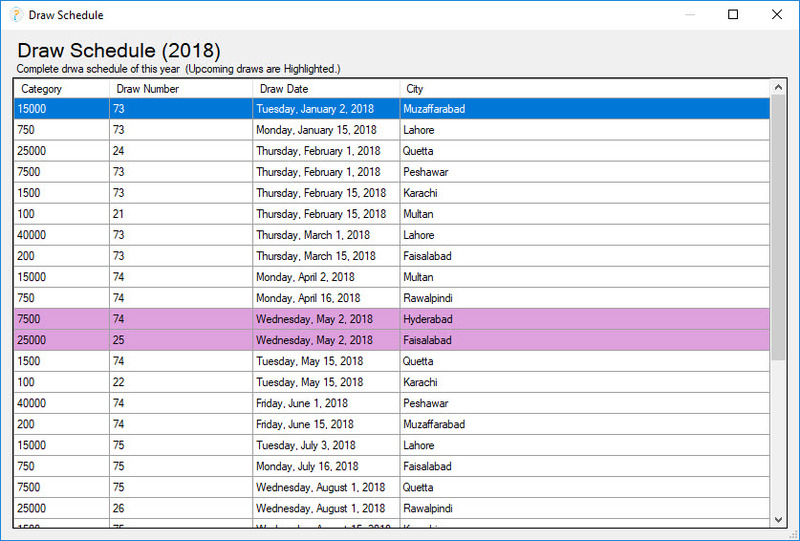 Pakbond provides you draw schedule of the whole year so you can check the dates and categories of upcoming draws withing Pakbond. We will protect your numbers from loss. Pakbond have an option to backup your bond numbers online so leave the tension of data loss. You can create online and offline backups of your data with Pakbond. 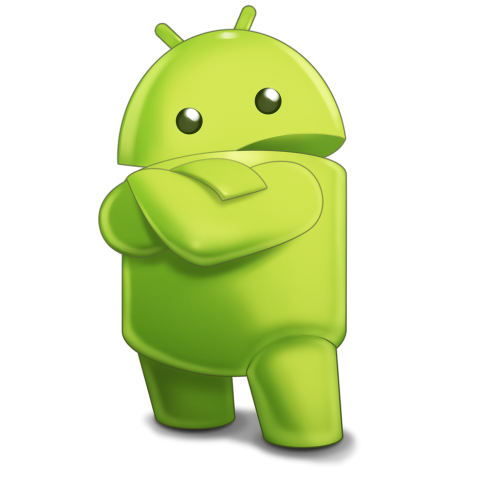 Pakbond is also available for android users with awesome additional features such as bond number scanning, claimed prize management and more. If you don’t want to open your PC for prize bond checking then just download Pakbond android app from Google Play Store.